1. Accessibility. It’s got two international airports, Bari and Brindisi, so you could be on the beach a couple of hours after you’ve plucked your luggage from the carousel. 2. Beaches. From white and sandy to dramatic and rugged, Salento is blessed with more than its fair share of places to swim, sunbathe, sail and sleep. Added bonus? They’re Blue Flag too! 3. Cities. Where to begin? There’s the lovely port of Otranto and the white city of Ostuni. You’ve been to Florence in Tuscany, so how about the “Florence of the south” – Lecce? It’s got a Roman amphitheatre, smart shops, curly wurly Baroque architecture in fetching shades of white and a lively, friendly vibe that the “other” Florence lacks. 4. Designer shopping. Puglia may be a little less well known to foreign tourists, but the Italians have long known about this corner of their country and its fabulous shops too. MaxMara Missoni… you get the picture. 5. Entertainment. Whether you are sporty or slothful, a culture vulture or a foodie, Salento has something for you. You can walk, ride, cycle, drive, play golf or sail. Then tuck in to the freshest food you’ll ever taste and the most delicious wine at one of the many reasonably priced restaurants. Take a stroll to a movie theatre or an open air show, stopping for a delicious home made gelato on the way. 6. Friendliness. Salento’s locals are not jaded and fed up with tourists like residents of certain other more famous places that shall not be named! (OK, Florence, Rome, Venice.) They are open and outgoing and just love to share their beautiful area with visitors. Speak even a little Italian and you will be richly rewarded. 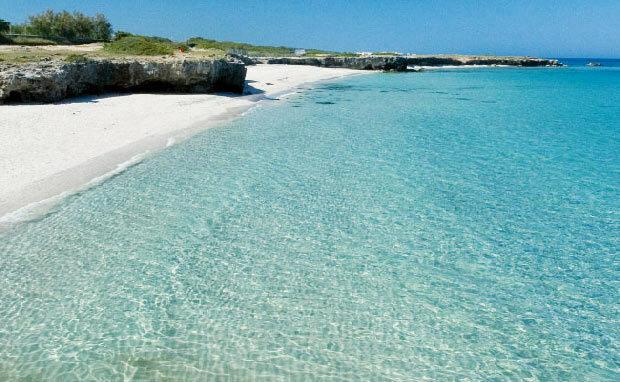 If you are tempted, then don’t forget we have a small luxurious range of exclusive masseria villas available for rent in Salento.